This past week, Activision executives, Paul Reiche III and Fred Ford sent DMCA notices to Steam and GOG demanding the removal of Star Control: Origins on the grounds that Star Control: Origins violates unspecified copyrights of theirs. Finally, after many months of requesting from them what, specifically, in our game that they they believe they own they finally posted a table outlining their justification for taking down our game. For those not familiar with copyright, here is a really simple outline of what copyright covers and doesn't cover. The table is right from their website. Our comments are next to it. Next time you play a game, any game, consider how many ideas in it appeared in other games. 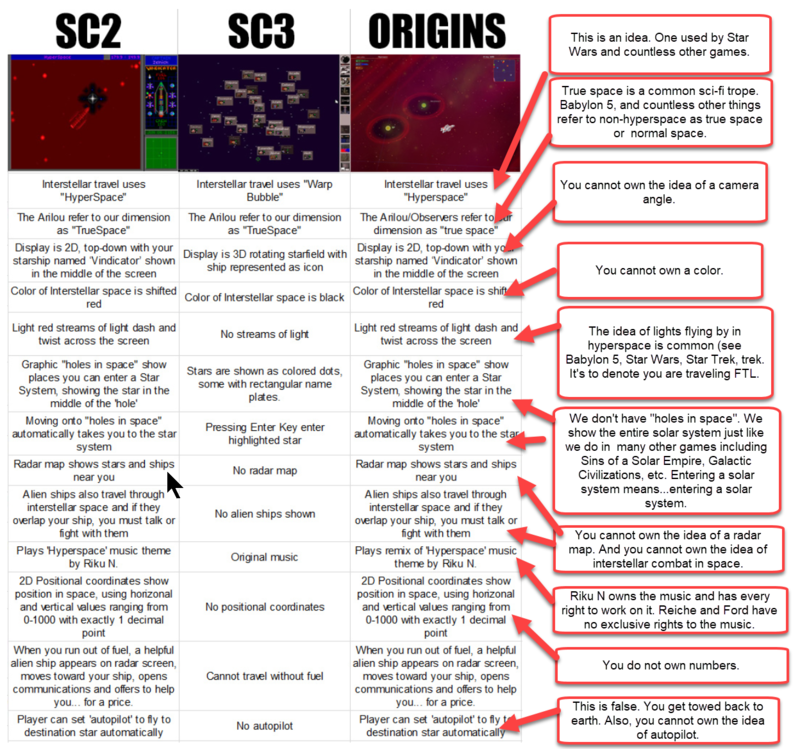 For the record, Star Control: Origins is not a clone of Star Control II. For obviously reasons, it's a 25 year old game and as we have stated countless times, it wasn't commercially viable to continue that story. We were interested in licensing the ships from Star Control II to include in Fleet Battles but they declined to so we didn't include them. But even if it were a "Clone" of the gameplay of Star Control II, that doesn't fall under copyright protection. See here for more information on that. So at long last, the meat of their complaint. They think they own the ideas listed. UPDATE: No, we did not make up this chart. You can find their chart here. These are their claims and words. We have not edited their claims. As a reminder, this table was made by Reiche and Ford. Not us. We aren't putting words in their mouths here. This is what they actually believe. This is their justification for filing a DMCA to take down a shipping game. As for their argument that game ideas count as expressions and can be copyrighted, the copyright office already admonished them for this erroneous misinterpretation. 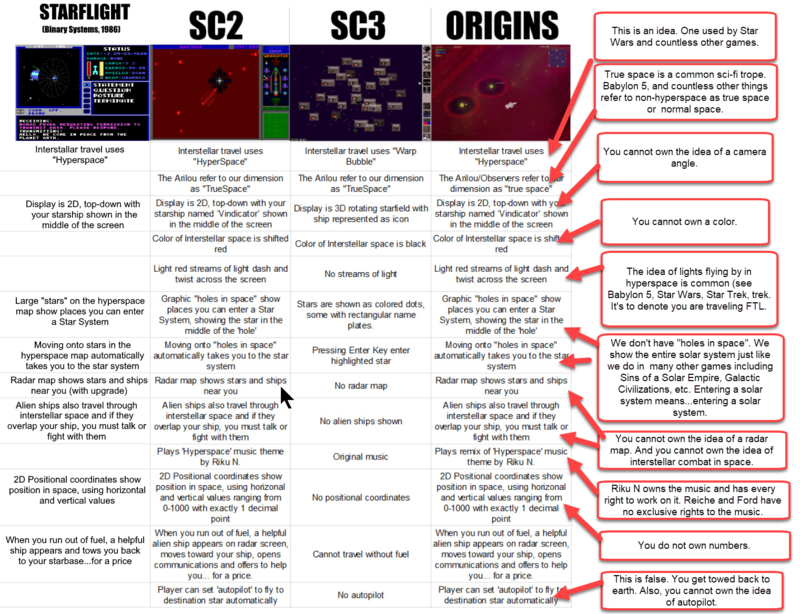 I'm just gonna put here these statements made by mister Fred Ford in regards to the music of Star Control II. : Nicholson, Riku Nuottojarvi, et al. commissioned to provide music? : Are they known to you personally? our finish date, we realized that we had all these alien races and not only no music for them but no budget (understandable given my previous posts). That's when we came up with a desperate gambit. We would hold a MOD music contest over the internet with a $500 first prize and many $50 second place prizes. We probably got about ten different MOD artists who submitted MODs (two of them were Riku and Dan and, in fact, Star Control II is what brought them together). We used most of the MODs that we got, but Riku and Dan demonstrated the talent and willingness to do additional pieces for us as well. : I was wondering if you'd mind me putting my own version of your song on the CD... And secondly, I was wondering if I could put the 3DO version of the Hyperspace theme on the next project of mine, a remix CD. TFB has no problem with your using the songs, but I don't know if that carries much weight. We told the various musicians who did work for the game that we would license the use of that music only for the game. So ultimately the owner of the music would be the writer who, in this case, is Riku. If you are selling the CD there may be some legal ramifications. If not, it's probably no big deal, but you probably should check. The 3DO remix was done by a fellow named Burke Treischmann who is a really nice guy. He probably wouldn't mind although, again, I don't really know if his O.K. 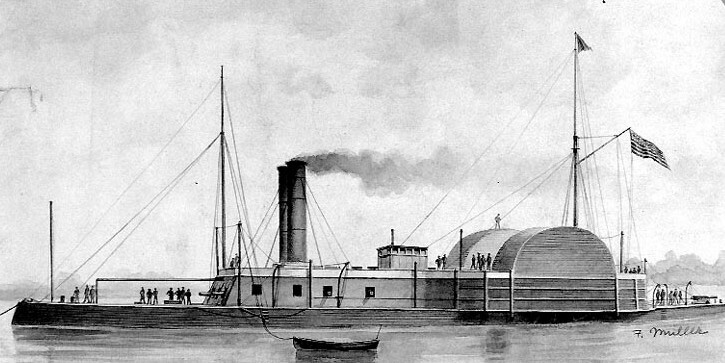 is the ultimate O.K. I would suspect that Riku would still be the potential stumbling block. People actually are accusing me of making up this chart. "No one is that ignorant on copyright". I updated the chart. 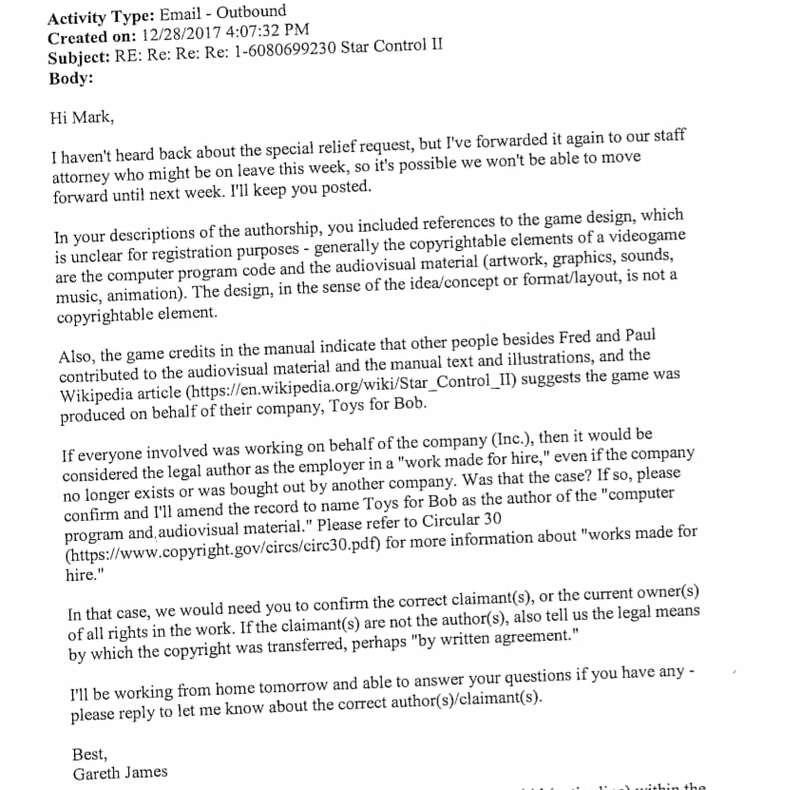 Not only is everything on that list uncopyrightable, it turns out Paul & Fred stole most of their "unique design elements" from an older game called StarFlight. I used to think that people can't be that dumb, that ignorant, or that foolish. Its a myth I had that was dispelled long ago. This is hardly the first time a software company has faced a copyright claim on the grounds of "look and feel" either. From that Wikipedia link: "Apple Computer was notable for its use of the term look and feel in reference to their Mac OS operating system. The firm tried, with some success, to block other software developers from creating software that had a similar look and feel. Apple argued that they had a copyright claim on the look and feel of their software, and even went so far as to sue Microsoft, alleging that the Windows operating system was illegally copying their look and feel." I'm not saying that P&F's claim has merits! Just that you're arguing it on the wrong level. You can't break the claim down to it's component pieces and evaluate those separately: you have to look at the work as a whole. It's similar to what P&F said in their blog post, you can't copyright words, but you can copyright "Dune". You can't copyright "the color red", but you might be able to copyright "a place called hyperspace, which is colored red, has occasional streaks of light, and uses holes to denote visit-able worlds"
Sad, just plain sad. Think it stems from Fred/Paul ego more than anything. But I do believe Stardock was fishing for consent and licenses for IP for a reason. but still, can't believe the crap P/F pulled. I really wish there wasn't so much politics(and IP laws) in getting a game made. Creating some new is always based on old and existing. Do you have any idea how many Harry Potter clones books are out there with just a few changes? SCO is not a clone of SC2 but even if it were, it's obviously a very different game experience. There is an error in the comments in red. The bottom one is pointing to the wrong section. It should be pointing to the section next to the bottom, which is the one about running out of fuel. Otherwise I agree with all the comments in red. I should also point out that our camera view isn't top-down. It's slightly isometric. Not that it matters. Someone's gonna need a time machine to sue them. but you might be able to copyright "a place called hyperspace, which is colored red, has occasional streaks of light, and uses holes to denote visit-able worlds"
If [that's "IF"] you could it very definitely would NOT be Paul and Fred's. Science Fiction existed before they were born...and before their parents were born....etc. "Isaac Asimov's Foundation series, first published between 1942 and 1944 in Astounding, featured a Galactic Empire traversed through hyperspace. Asimov's short story Little Lost Robot (1947) features a "Hyperatomic Drive" shortened to "Hyperdrive" and observes that "fooling around with hyper-space isn't fun"." Yes, it's Wiki .... but I read the Foundation Trilogy about a quarter century before P&F were involved with Star Control. ....and Asimov's wasn't the first use of the term. IMO, based on what I'm seeing, they just TORPEDOED themselves. They torpedoed themselves so badly people initially believed that Brad made it up, because the claims are impossibly stupid. People previously defending them are backing off. (Though there are a few die hards complaining). Good news for Stardock. When you try to say "We own red hyperspace" law will laugh at you. If only you had multiplied your coordinate system by 10, all of this could have been avoided. But you used A DECIMAL POINT. How do you even sleep at night??? Do you have any idea how many of those have faced legal action, and either settled out of court or been barred from sale in the US? You might want to choose an example that doesn't involve "prohibiting the [fan's] use of “any names, places or objects from the series”"
Is this the Tywom-Mu'Kay trial? "They have accused both the StarWars and us of doing things they do themselves." Brad is it possible to share the terms of the Atari firesale/purchase - They make an interesting comment in their post about it and I'm interested to read the legalese of it, if it wouldn't be a hassle. Gawd, Brad, you're in so deep you can't see the forest for the trees. There's an entire series called "The Magicians" that to me is a pretty blatant clone of Harry Potter. Harry Potter is just a rip off of The Books of Magic by Neil Gaiman. Unless the TV show has vastly misled me, it borrows from Harry Potter, Narnia, and the raunchy college sitcom genre in equal measure. And very definitely earns it's "R" rating. If it had a protagonist named "Hermione", horcruxes, and a nearly identical "Latin words are magical" system, you'd have a solid comparison, but it lacks all of those. A judge already ruled against your injunction, and authorized this DMCA. An expert in law, who has had time to review the evidence, felt that this DMCA claim was warranted: "Insofar as Plaintiff questions the wisdom of the DMCA process, however, its quarrel is with Congress". The judge actually seems pretty unhappy with Stardock: "In view of the foregoing, the harm Plaintiff complains of is indeed of its own making. Plaintiff had knowledge of Defendants’ copyright claims from the outset. Despite that knowledge, it developed potentially infringing material without resolution of the IP ownership issues, and then publicized the release of that material during the pendency of this action. It now claims that its investment in Origins and reputation are on the line. Given that Plaintiff largely created the foregoing predicament, the Court is disinclined to extricate Plaintiff from a peril of its own making. " Somehow I suspect that if JK Rowling tried to sue Lev Grossman over "The Magicians", a judge would have something very different to say about the matter. So, you change the color of hyperspace to green. Streaks are just about universal to denote movement in hyperspace in any number of games and tv shows, as is the term hyperspace. Given Stardock does have a right to derivative works from Star Control 3, I can't see a win coming from the color choice. I had never heard of Star Control prior to Star Control Origins. I was in fact made aware of it when trawling the net for an updated StarFlight. It was the game's obvious resemblance to StarFlight (stuff like mining resources on alien worlds, having to buy upgrades, a Space Command you reported to etc) that encouraged me to give the game a go. Lotus sued competitors over "look and feel" infringement because of the similarities between Lotus 123 and their products. They won a handful of cosmetic changes but nothing significant. I don't think Lotus 123 is even a product today. Latin words are magic has been pretty standard at least as far as The Exorcist. "A judge already ruled against your injunction, and authorized this DMCA. An expert in law, who has had time to review the evidence, felt that this DMCA claim was warranted: "Insofar as Plaintiff questions the wisdom of the DMCA process, however, its quarrel is with Congress"." This refers solely to the injunction and Brad being unqualified to make commentary on what is and is not copyrightable. It has no bearing what-so-ever on the copyright claim itself.